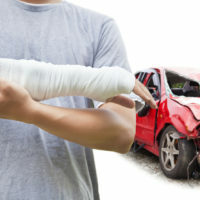 How Are Accident Injury Damages Determined In Alabama? When it is necessary to assess damages in a personal injury case, the state of Alabama is somewhat unique in that it still makes use of a fault or tort system, which means that no damages will be paid unless it can be conclusively proven that one party is completely at fault. For instance, in the case of automobile accidents, Alabama uses the rule of contributory negligence, in which you cannot collect damages in an injury case if you were in any way responsible for the accident yourself. This means that even if the other driver was 90% at fault and was the chief contributor to causing the accident, you still are not entitled to collect anything, because you were a 10% contributor in causing that accident. There is a two-year time limit for filing any kind of claim for damages resulting from a car accident in Alabama. It should be noted that this two-year limitation refers only to initiating a legal action, and not the insurance claim, which should be filed immediately. Whereas formerly there was a cap on damages which could be awarded to someone in a personal injury case, that law was ruled to be unconstitutional by the Alabama Supreme Court, after which only a few restrictions remained in effect. One of those restrictions is the so-called ‘guest statute’, which prohibits a passenger in a car from bringing a lawsuit against the driver, except in extraordinary cases where it can be proven that the driver acted recklessly. Examples of reckless driving might be operating the vehicle at an unsafe speed or extended periods of distracted driving, although both of these might be difficult to prove in court. Another restriction places a cap on municipal liability for personal injury cases. Under the terms of this restriction, if a public employee (such as a police officer) is responsible for your car accident, you can collect no more than $100,000 from county or city government. Punitive damages in any personal injury claim cannot exceed three times the actual damages, with a firm ceiling of $1.5 million, although it should be stated that punitive damages are only awarded when it can be clearly demonstrated that there was more than simple negligence involved. This means that it will be necessary to demonstrate that ‘deliberate or conscious malice’ contributed to the severity of your injuries, which is again very difficult to prove in court. Other than those restrictions listed above, there are no limits for compensation awarded to an individual in injury cases, other than what can be conclusively substantiated during a court proceeding. This is why it’s so important to have the right Mobile, Alabama personal injury attorney representing you during your personal injury case, because the only practical limitations in such cases are the actual circumstances of the injury, and what your attorney is able to prove on your behalf. These are fairly straightforward, and can be calculated by documenting all medical bills resulting from your injuries, in addition to the pay statements which delineate your rate of pay. In some cases, it may be necessary to also include future medical costs as well as future lost wages, although these must be substantiated by credible medical professionals in order to be factored in. The point of pain and suffering damages is to compensate you for the physical and mental discomfort you were forced to endure as a result of your injuries. These are referred to in Alabama as ‘mental anguish damages’, and are categorized in the judicial system as either past, present, or future compensation. Alabama law only recognizes medical malpractice cases explicitly as being entitled to mental anguish damages, and the ceiling on such awards cannot exceed $400,000, although in actual practice, awards have also been made for cases involving car accidents and slips or falls. For product liability claims involving defective manufactured products, no mental anguish damages are awarded in the state of Alabama, nor is there any compensation for workmen’s compensation claims. As you can see, there are a lot of variables related to damages and in order to improve your chances of maximizing your injury recovery, it is imperative that you hire an experienced and aggressive Alabama personal injury attorney. 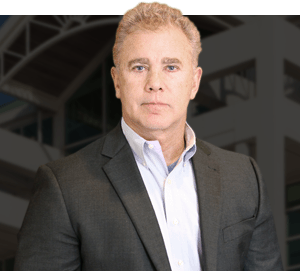 At the Law Offices of Gary W. Fillingim, our knowledgeable Alabama accident injury attorneys will use their extensive experience to help you build a strong case and put you in the best position for maximum recovery. The consultation and evaluation are always free and we never charge you anything until we recover for you. Don’t wait call us now for your free evaluation at (251) 445-7257 or at Fillingimlaw.com.